Google is the target of several high-profile lawsuits from former employees, all alleging discrimination. There are two class-actions, one alleging Google routinely paid its female employees less than its male ones and the other claiming Google discriminated against its white, male, conservative employees. There’s a sexual harassment suit from a female engineer who said she discovered a male co-worker hiding under her desk, and a retaliation and wrongful termination case brought by an engineer who advocated for diversity on Google’s internal mailing lists and message boards. A former recruiter is also suing, claiming Google fired him because he blew the whistle about YouTube’s alleged refusal to hire white and Asian men. It’s not only Google’s former employees who are taking aim at the company. The US Department of Labor is investigating Google for pay discrimination—despite Google’s assertion that there is no wage gap at the company—and a group of Google shareholders are pushing a resolution that asks Google to produce a report assessing the risks of its alleged wage discrimination, particularly when it comes to recruiting and retaining female employees. “We think there is room for improvement and can’t give a rubber stamp to an incomplete analysis,” Natasha Lamb, a partner at one of the firms backing the shareholder resolution, Arjuna Capital, told Gizmodo of Google’s wage gap study. Any large tech firm gets sued a lot—they’re ripe targets for patent trolls, disgruntled customers, and competitors who think they’ve ripped off their product. During its recent legal battle with Waymo, Uber revealed it was juggling hundreds of other lawsuits simultaneously; Google is currently a named defendant in nearly 300 active cases in federal courts. Viewed singly, harassment lawsuits are often dismissed by cynics who declare that the plaintiff is seeking fame or a quick payday. But take the lawsuits en masse and top them off with the concerns of shareholders and the federal government, and it becomes clear that Google doesn’t have one or two resentful former employees—it has a systemic discrimination problem that’s been boiling over in the aftermath of James Damore’s now-infamous memo, and a vocal set of workers who are fed up enough to do something about it. Since the memo’s publication, Google employees have faced doxing, threats, and harassment. They say their coworkers are weaponizing the company’s HR department, baiting them into discussions about diversity and then reporting them to HR. Management isn’t responding to their concerns, employees said, leaving them to fend for themselves in the face of discrimination. Google is hardly the only tech company facing discrimination lawsuits from its former employees—Microsoft, Apple, Facebook, and Amazon are all sitting on the same uncomfortable court bench. It’s not as though Google hasn’t invested in diversity, either. The company is doing all of the things that tech companies do—publishing a diversity report, funding efforts to improve STEM education, recruiting from historically black colleges and universities, and making resources available internally to report harassment. When employees were threatened after the publication of Damore’s memo, Google connected them with the company’s security team. But the slew of workers coming forward in the courts and the press demonstrates that Google doesn’t have its culture sorted out. And if things are this messy at Google, which was one of the first major tech companies to publish a diversity report and is widely viewed as one of the friendlier corporations in Silicon Valley, you have to wonder if the entire industry’s tactics for combatting workplace sexism and racism—putting out data that demonstrates a lack of diversity in the workforce while placing the onus on employees to speak up when they’re harassed at work—are failing. The class action lawsuit states that Ellis and other female Google employees were routinely under-paid, under-promoted, and assigned to lower-tier work than their male colleagues. Jim Finberg, the lead attorney in that case, scoffs at comparisons between his class action and the one brought against Google by Damore that asserts the company discriminates against white, conservative men. “I generally read non-fiction,” he says of the complaint. Google declined to comment on the record for this story, referring Gizmodo to a statement made to the New York Times earlier this month. “Creating a more diverse workplace is a big challenge and a priority we’ve been working to address. Some people won’t agree with our approach, and they’re free to express their disagreement. But some conduct and discussion in the workplace crosses a line, and we don’t tolerate it. We enforce strong policies, and work with affected employees, to ensure everyone can do their work free of harassment, discrimination and bullying,” a company spokesperson told the Times. Google faces twin conflicts, one over discriminatory speech within the company and another over the impact those conversations have on hiring, promotion, and culture. The emphasis on speech is partially propelled by the current political winds, but it’s also an important part of the culture at Google, where employees are encouraged to engage in open debate. Damore has regularly cited Google’s openness as an explanation for why he felt comfortable circulating his memo internally, and a former Googler told Gizmodo that the company’s popular mailing lists often felt like employee playgrounds. A mailing list Damore created for discussion of his memo, “pc-harmful-discuss,” remains active and unmoderated. Recently, the list was used to solicit funds for Damore’s lawsuit, a source said. Now Google is struggling with the consequences of its open culture, which empowered Damore and the employees who spoke out against his views. What’s okay to say to your coworkers? What isn’t? And what happens when the coworker crossing boundaries is responsible for your performance review? Google is considering introducing moderation to some of its mailing lists and internal forums, but no final decision has been made. Conservative employees of the company have argued that Google—and Silicon Valley more broadly—are engaged in ideological censorship and have closed themselves off against certain political viewpoints. Moderating or shutting down mailing lists could further enflame that argument, although it could also appease employees who say Google isn’t doing enough to combat discrimination in the workplace. Tim Chevalier, one of the former Google engineers currently suing the search giant, says that the company has erred on the side of trying to remain neutral, leaving its minority employees to push back against discrimination without official support. His lawsuit states that, when Chevalier was fired, Google’s human resources team presented him with three posts he’d made on internal platforms that they claimed constituted discrimination against white men and cited them as the reasons for his dismissal. Despite the clashes, many Google employees still view the company’s forthright culture in a positive light. There’s something there that’s worth saving—but the conversation needs guardrails, which Google has been hesitant to implement. One of Chevalier’s posts that Google took issue with compared Damore’s writing to that of Eliot Rodger and Marc Lépine—mass shooters who wrote manifestos about their decisions to target women. Their actions were distinct, Chevalier argued, but their words were similar. “The effect is the same: to intimidate and control women, whether an individual wife or girlfriend or all of this person’s female coworkers,” he wrote. The other two posts included memes intended to point out white privilege that Chevalier used to respond to comments made by his coworkers. According to Lowe and Chevalier, that’s exactly the kind of pushback that Google should foster—to support its employees and to build better products. Ellis sees a connection between the claims Damore advanced in his memo and the pay gap she experienced at Google. It’s not just a difference in salary, but in job titles, opportunities for promotion, and work assignments, she said. Google categorizes its employees on a level system, ranking them in seniority. In order to move up a level—which will net an employee a higher income—employees go through peer reviews and are asked to demonstrate that they’ve worked on projects qualifying them for the higher level position. Despite having several years’ experience in the industry, Ellis said she was placed at a relatively low level when she started at Google, prompting coworkers to ask if she’d recently graduated college. 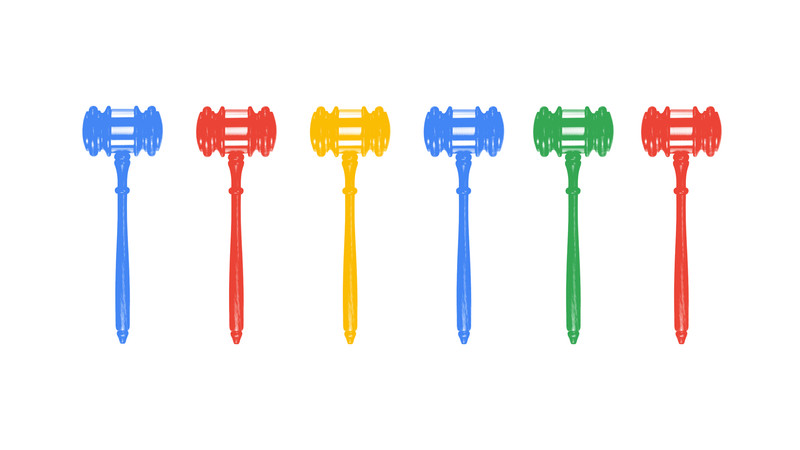 Last year, the judge overseeing the wage gap class action required attorneys in the case to narrow the class from all women employed at Google to only women in specific job titles. Finberg, the attorney representing the group, said he still expects the narrowed class to include about 15,000 women. Legal action is necessary to incentivize change at Google, Finberg says. “Diversity training really doesn’t work because the people who are biased say, ‘This isn’t about me.’ What really works is class action lawsuits and injunctive relief,” he explains. Researchers have found that the diversity training in place at many large tech companies is ineffective and that instituting mandatory training can exacerbate bias rather than reduce it. “Despite a few new bells and whistles, courtesy of big data, companies are basically doubling down on the same approaches they’ve used since the 1960s—which often make things worse, not better,” write Frank Dobbin, a professor of sociology at Harvard University, and Alexandra Kalev, a professor at Tel Aviv University. Instead, the researchers recommend recruitment and mentoring programs and social accountability in the workplace. Lawsuits can also be effective in shifting culture, simply because they can generate multi-million dollar payouts. Project Include, a diversity and inclusion group launched in 2016 by Ellen Pao, Erica Baker, Tracy Chou, and other advocates, publishes recommendations for tech companies seeking to diversify and improve their workplace culture. Although its suggestions for resolving conflict were published long before the onslaught of lawsuits hit Google, Project Include’s recommendations read as though they were written with Google’s current predicament in mind.